At Centre de santé dentaire Candiac, we take into account all aspects of your oral health in order to give you the best advice about the available treatments. We will give you a smile that meets your expectations. We Welcome the Whole Family! At Centre de santé dentaire Candiac, our mission is to promote oral health and cosmetic dentistry in order to improve the quality of life of our patients. Rediscover the pleasure of real teeth with dental implants. When a patient has lost one or more teeth, dental implants have multiple advantages over other treatments involving removable prostheses. We Warmly Welcome New Patients! Centre de santé dentaire Candiac is a reference for general and cosmetic dentistry. Whether you are looking for a dental cleaning, a filling, an emergency appointment, wisdom teeth removal, dental implants, a root canal or a periodontal treatment, we deliver high-quality care with a personal touch. At our clinic, dental check-ups include an examination of the occlusion, posture, temporomandibular joints, muscles and appearance of your teeth. All the Services Offered in One Place! Dental implants can be considered as a treatment plan when a patient has one or more missing teeth. A dental implant alone does not replace a natural tooth. 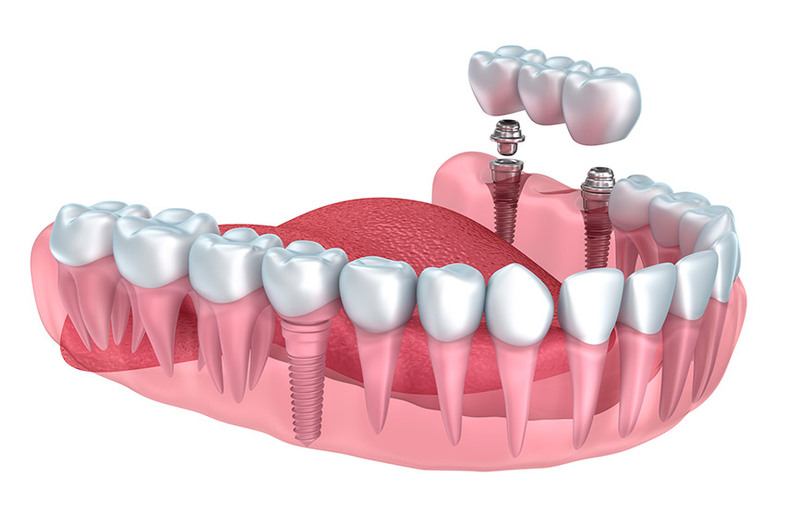 An abutment must be mounted on the implant once it has been inserted into the jawbone. Depending on the number of teeth to replace, an artificial crown, a full or partial denture or a bridge will be prepared and placed on the abutment(s).